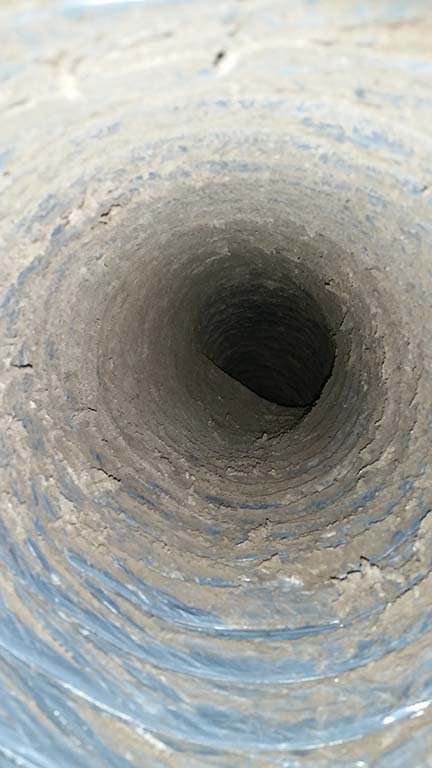 Can your client’s flex duct be cleaned? Is it old, brittle, and falling apart? Then yes, definitely replace it. 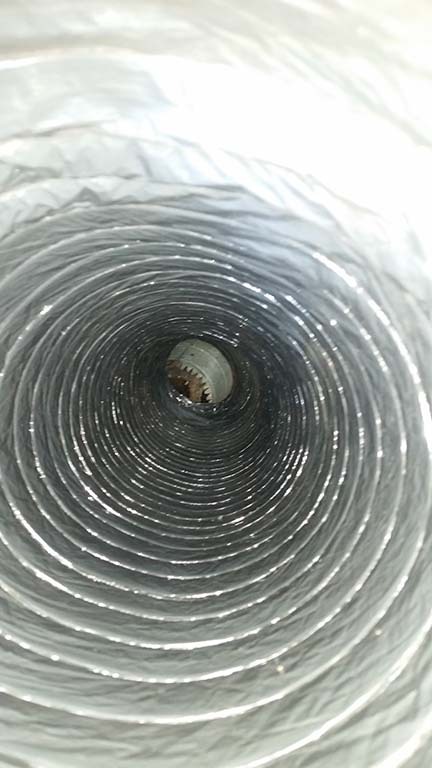 If you have flex ductwork that is already falling apart and shedding chunks of plastic, any kind of duct cleaning is just going to increase the deterioration of the ductwork. In other words, you’ll have a big mess on your hands. But if it’s in reasonably good condition, cleaning the flex ductwork can save your clients money in the short run and increase the life cycle of your ductwork in the long run. Really? You can clean flex ductwork? Yes! And we do it all the time! This flex duct was heavily coated with dirt and debris. The tenants were complaining of excess dust and allergies. You can see in the photo that the flex duct is in reasonably good shape, although very dirty. In this instance, the most cost effective choice for the client was to clean the flex duct. The first step, as always, is source removal. We put the entire HVAC system under negative pressure, gently loosened the debris from the flex duct with our rotating brushes, and removed all of the dirt. From the final photo, you’d never know how much dirt and debris was hiding in that ductwork! Good as new! 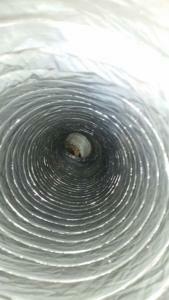 Do you have a client who needs their flex duct cleaned? Give us a call at 713-645-4611 for a bid or to schedule a site visit.